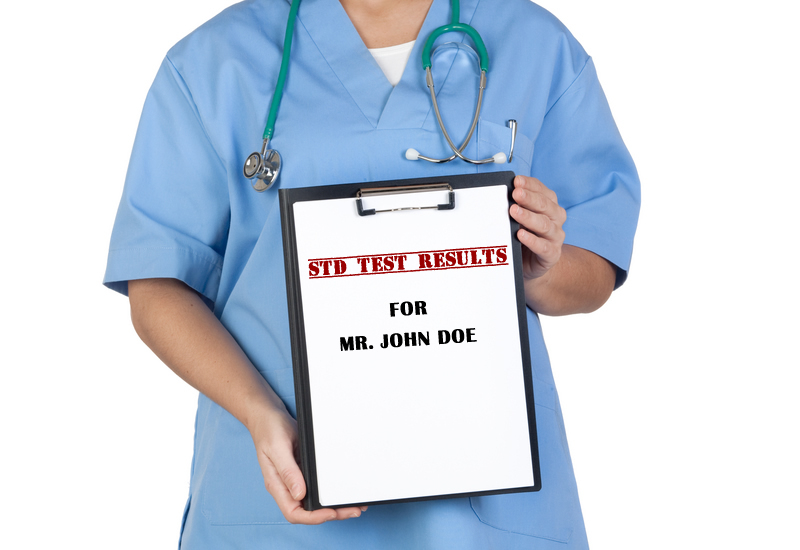 Confidential STD testing means the results are kept confidential according to federal and state laws. However, every state has a law that requires health care professionals to report your name, birth date, address and other personal information to the state health department if you test positive for chancroid, chlamydia, gonorrhea, HIV or syphilis. The health care professional does not need your permission and does not even have to tell you that your personal information is being sent to government officials because it’s the law. Confidential STD test results also become a part of your permanent medical record, and they might be reported to your insurance company if you use insurance to pay for your STD test. A confidential STD test is not anonymous. Your confidential STD testing results won’t be released to anyone else besides the public health department and your insurance company without your permission. The state health department aggregates all the reports of positive STD tests and sends that information to the U.S. Centers for Disease Control and Prevention. However, they are supposed to remove all personally identifiable information from the data they send to the CDC. Once the state health department receives a confidential report that you tested positive for an STD, your case is assigned to a disease intervention specialist. 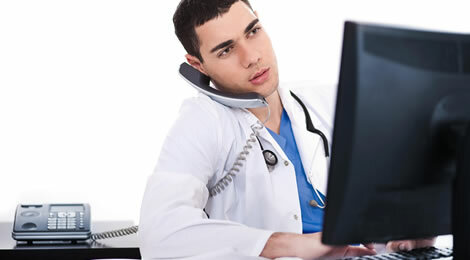 The specialist will speak with your health care provider to ensure you’re receiving treatment for the disease. Especially for cases of HIV and syphilis, the specialist will contact you to discuss your confidential STD test results and to discuss how you will notify your sexual partners that they might have been exposed to an STD. If the specialist can’t reach you by telephone, he may come to your home, ring the doorbell, identify himself as a representative from the state health department and ask to speak to you. He will then ask you to provide the names, addresses and phone numbers of each of your recent sexual partners, confidentially, of course. If you choose to provide the confidential information about your sexual partners, you can decide how you want them to be notified that they might have been exposed to an STD. You can notify them yourself or you can have the health department notify them for you. The health department will not reveal who you are; only that the person might have been exposed to a sexually-transmitted disease. If you decide to notify them yourself, you can use an anonymous email notification service such as the one provided on our website. Regardless of the method you use, please notify your partners so they can take action to get tested and get treatment. Many people who are infected with an STD never experience any symptoms, so one of your partners could be infected and not know it. If you’re like most people, you don’t want everyone to know that you had a confidential STD test and you tested positive. If someone from the health department comes knocking on your door and another person answers, chances are they will have a pretty good idea why the health department official has come to visit. However, some people let the fear of exposure and embarrassment delay their getting tested and getting treatment, and that’s not a wise choice to make. The sooner you get treatment, the easier the disease is to cure, the less complicated the treatment is and the less risk you have for permanent damage to the family jewels. There’s not a single good reason to wait to get tested and to get treatment. If you’re worried about public exposure from a confidential STD test, you can follow the steps in our free guide, How to Get an Anonymous STD Test or HIV Test. The guide tells you how to protect your anonymity when you decide to get tested. We’ve evaluated test labs and have selected this lab as our recommended lab because of the safeguards they have to help protect your identity. The company doesn’t accept insurance, so there is no complication around billing and it destroys all records of negative test results from its servers. We created the instructions by going through the testing process ourselves, so we know exactly what’s involved and how you can protect your identity. If you think you’ve been exposed to a sexually-transmitted disease or you have symptoms you think might be caused by an STD, please get tested and get treatment! Follow the steps in our guide and get an anonymous STD test rather than a confidential STD test. This is great info – thanks for pointing it out. So many ad suggest that their std tests are anonymous when really they aren’t.